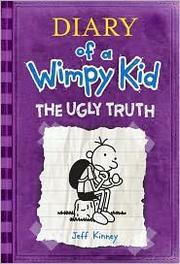 The ugly truth (Diary of a wimpy kid ; bk. 5) / Jeff Kinney. Diary of a wimpy kid ; bk. 5. $c Statement of responsibility Jeff Kinney. 500 General Note $a General note Diary of a wimpy kid ; bk. 5. 520 Summary $a Summary, etc. note Since their last event together did not go well, middle-schoolers Greg Heffley and his friend Rowley must decide whether they will stay friends.